California became known as the Golden State after the gold rush of the 1850s. But the name may as well refer to the golden sunshine and wealth of beauty on large supply in the landscapes of this Pacific coast state. 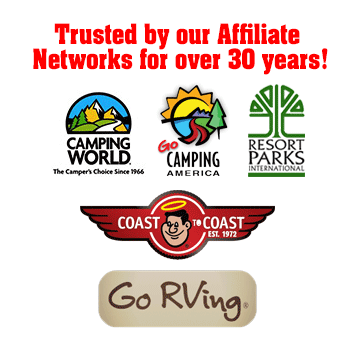 Much of it is found in the desert areas east of Los Angeles, where you will find two of our deluxe RV getaways: Cherry Valley Lakes Campground and Emerald Cove RV Resort. These California campgrounds truly live up to California’s reputation as one of the most desirable destinations in the world. You won’t find California’s iconic landmarks in the vicinity of these campgrounds: no Hollywood sign or Golden Gate Bridge. If you’re looking for quality campgrounds in California, then you wouldn’t want such tourist attractions anyway. Instead, you’ll find some of the most beautiful weather in the world: warm, sunny days that are perfect for golfing or hiking, boating or fishing. So where do you find these California campgrounds? The Emerald Cove Resort location– with 800 campsites, one of the larger campgrounds in California – can be found west of the Colorado River, not too far from Quartzsite. The Cherry Valley Lakes Campground location is only minutes from Palm Springs, in Beaumont, just east of Los Angeles. Like many resorts in neighboring Palm Springs, Cherry Valley Lakes offers deluxe accommodations; in fact, the resort is a bona fide 5-star California campground. If you’re seeking the best in accommodations and activities, your search should begin and end with Cherry Valley Lakes. Palm Springs has been a popular destination for honeymooners and vacationers (even movie stars) since the 1950s; as a result, the area is home to some of the best golf courses and shopping malls on the West Coast. Beyond the area’s golfing and shopping, fishing at one of our two well-stocked lakes, or even gambling at local casinos, you can find plenty of ways to occupy your time without ever having to leave the resort. 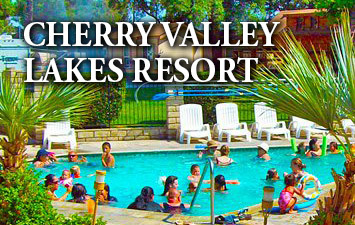 Unlike many other RV parks in California, Cherry Valley Lakes features a comfortable clubhouse for dining or playing games, a refreshing, heated swimming pool, even a large Jacuzzi to work out the kinks after a long day of fun. California Campgrounds – Cherry Valley Lakes near Palm Springs. Our clean bathrooms, showers, and complete laundry facilities can even help you extend your vacation by a couple of days. You won’t find these comforts at many other California campgrounds, but you will find them at Cherry Valley Lakes. 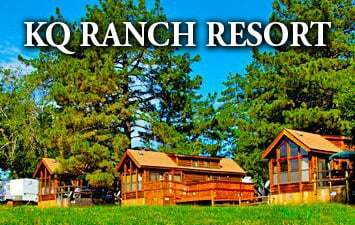 Like Cherry Valley Lakes, Emerald Cove Resort – with a laundry facility and country store – is another California campground with such amenities. Only a rare gem of a campground could have a name like Emerald Cove. With three glittering pools, including one children’s wading pool, and a gleaming white sandy beach, Emerald Cove Resort certainly lives up to its name. Like other campgrounds in California, Emerald Cove is close to golf courses and casinos. Unlike other campgrounds, Emerald Cove offers a triple-wide boat launch, water equipment rentals, and a cozy clubhouse. With over 800 spacious campsites and so many activities, this campground is one of the best options along the Colorado River in California. With so much sunshine and so many ways to enjoy it, these Colorado River resorts are some of the finest campgrounds in California. So do as many others before you have done: strike out on the road for beautiful California.